Friends of the Earth is seeking your help, and it is easy and rewarding. 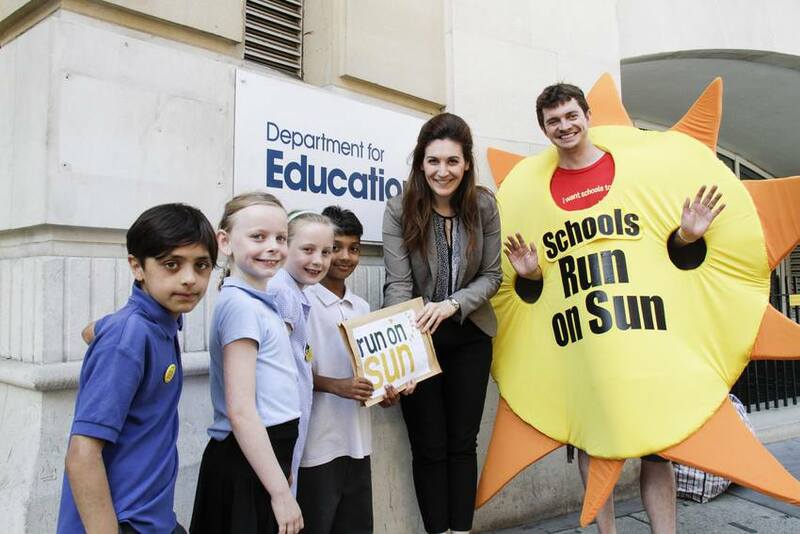 We would like you to spend a little bit of your time to take our ‘Run on Sun’ campaign to new heights, and hopefully get Brighton to keep its reputation as the Green City of the South. 1. As a parent, neighbour, grandparent, etc. nominate the school of your choice online for the FoE competition for free solar panels. You need to nominate by the 24th of October, so you need to hurry (see link below). 2. If you can approach a responsible person in the school, such as the Head, Deputy, or Head of Department, or someone on the PTA and the Board of Governors (preferably with green credentials), just download the necessary information from the website, put that in their hands, and add your most persuasive smile and short explanation. You can get that information for yourself by entering your details on the website, as a concerned individual or parent. 3. If your child is keen, get him or her to take the information to school and speak to their teacher and their class about it, or perhaps make it the subject of a special project. 4. If the school is running an event in the next future, ask for leaflets and information to put on your stand;we can provide you with these, on request. You may like to sign up other parents to add weight to your request. 5. The schools entries are open until the 15th of December, so there is time, but beware, Christmas preoccupations will creep up soon! So gently enquire about how things are proceeding, and talk about related issues with your friends, the more people are talking, the more the momentum will build up. Françoise, Run on Sun contact person for B&H FoE.